My Dell Inspiron 9 has become one of my essential gadgets, the gadget that goes everywhere with me. 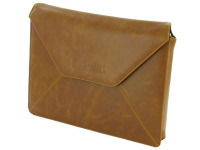 Its compact style and low weight means I can pop it in my handbag for long train journeys. Unfortunately, my bag is full of items that are the mortal enemy of a netbook. Nail files, liquid make up and car keys all come within scratching distance of the gorgeous black outer. Which is why I invested in a case to slip my netbook into and protect it from the dangers of my handbags. When I originally bought one, netbooks were at the start of their popularity and the range of cases was somewhat uninspiring. 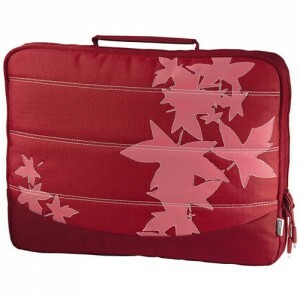 This Hama Aha Maple Netbook Sleeve (above) is £10.99 and comes with a eye catching maple leaf design. 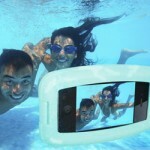 Like most of the cases, it’s fully padded and made of durable Polyte to protect against any hard knocks. Too cute for you? Need something more professional? This case couldn’t be any more corporate if it tried, it’s pinstriped! 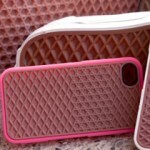 This case is from Etsy seller bertiescloset, and is priced at $12.99. 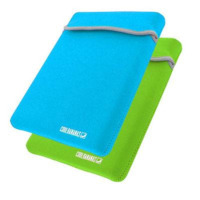 These Cool Bananas Neoprene Netbook Sleeves are reversible, so you can choose the colour to suit your mood. They’re £13.95 and also come in blue/pink and red/black. 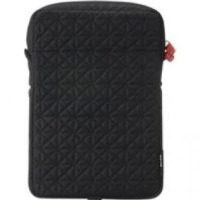 I can’t decide whether I love or hate this Belkin Quilted Case. 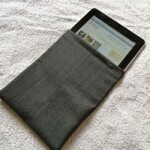 The padding is certainly practical, and it comes with a detachable strap if you don’t have a large enough handbag. It’s just that the quilting reminds me slightly of the puffa jackets favoured by 90’s pop stars and nightclub bouncers. The 90’s are making a comeback though, so might be worth snapping this up for £11.95!